Street vending is a popular enterprise in London with many events, markets and stations now signing up to the best of to feed their guests and customers. 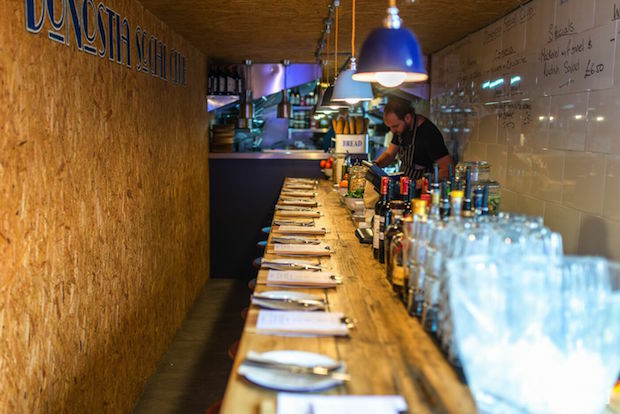 This was the case for Paul Belcher who, after years of working as a chef, decided to explore his love of Basque cooking and create street food brand, Donostia Social Club. Armed with a Citroen H van, Paul decided to run a mobile eatery allowing the crowds to sample his delicious creations. After experiencing an initial successful 3-month indoor residency in the King & Co pub in Clapham, Paul decided it was time to find a more permanent space. 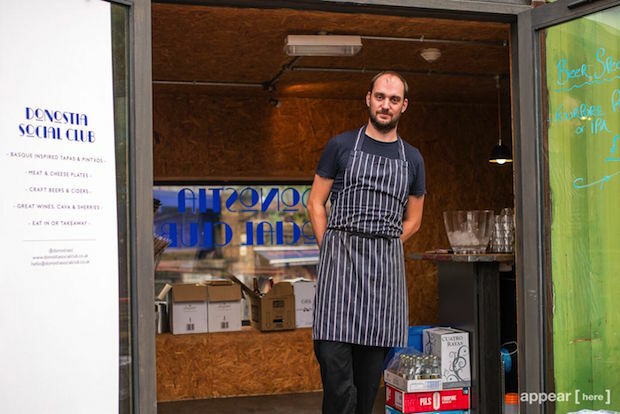 Now he has moved Donostia for the next two and a half years into a 40ft shipping container in Pop Brixton, the new community project in South West London. We caught up with Paul to find out what it has been like moving from kerb to container. Why did you originally decide to set up shop as a street vendor? After many years working as a chef I decided I wanted to work for myself and fall back in love with food again so I started looking for a way to do this. 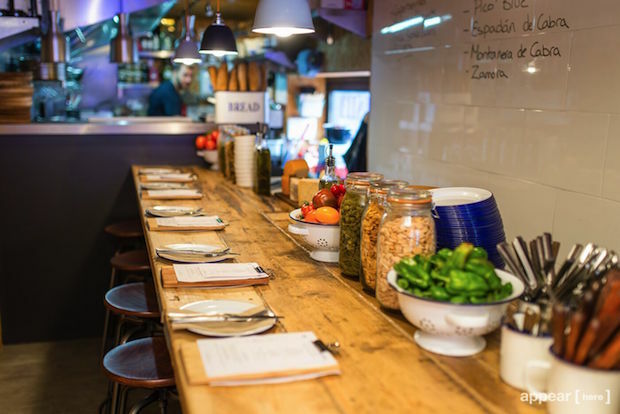 I already knew I wanted to explore my love of Basque cooking so started looking at supper clubs and pop ups first. We then discovered our beloved Citroen H van online all grey and rusty and in need of a lot of TLC (not to mention a kitchen!) and I had the idea to turn this into a mobile pintxos bar with 12 stools around it and a counter that you could eat and drink at. This I can proudly say turned into the Donostia Social Club. Why did you decide it was time to move into a space? And why Pop Brixton? 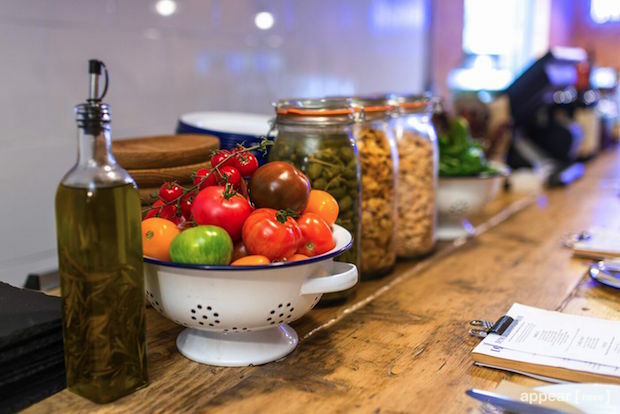 We have always felt our style of cooking would be suited to an indoor space and after a wonderful 3 month pop up at the King & Co in Clapham (who are now my business partners) we decided to look for a more permanent venue, this is where Pop Brixton came in. Pop Brixton is the perfect mix of edgy and cool and a great stepping stone for any small business be it in food or retail, so we wrote a business plan and were lucky enough to be accepted. Going from street food to a 7 day operation was always going to be a challenge in terms of ordering, staffing and managing overheads but we relish these challenges as it make every day unique! How has moving to Pop Brixton affected your custom? 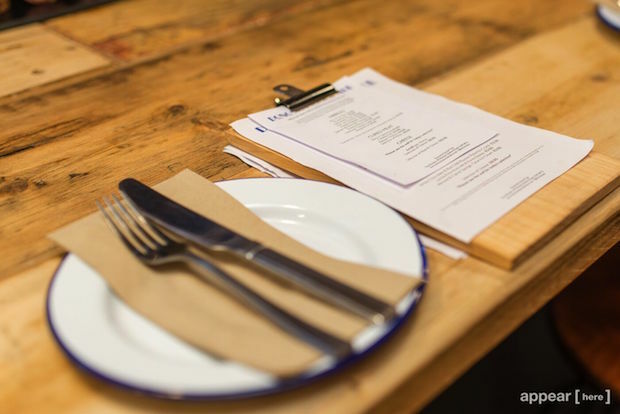 Our type of food and the atmosphere we want to create has always attracted foodies, fellow chefs, bloggers and people wanting to try something different in a different style of surrounding, be it sitting round a street food van or in a 40ft shipping container. Having moved into a space, in what way have you altered the way you work and the way you look? We work more! But mainly its all about time management and having a great team around you. Our style is very similar to the van as you sit at a counter filled with great food, but we also wanted to make the container slightly cool and interesting which we feel we have achieved by adding our long shared table with stools and our white tiled ‘Specials’ board, which adds a relaxed feel to our container. How did you go about staffing your space? We were lucky as due to having an already successful street food business we have a good core group of chefs and service staff. We then advertised in the local community for staff to help make the team great! How do you maintain the same vibe that street vending gives? Which do you prefer- on the kerb or in a space? I like bits of both to be honest. For instance, I love the camaraderie of being on the street with your fellow traders usually moaning about the weather as well as all the yummy street food, but the container does give us security in bad weather and it’s nice to have space to try out new dishes and ideas. What advice would you give to someone thinking about moving their street food business into a space? Find the right environment for your business and look at the costs and overheads carefully, going inside doesn’t always mean more money instantly but it can give a great base to work out of and more security for your business.